Bears in Hazenmore's Atlas: "Cartography for Soul Seekers." Regina's Bears in Hazenmore aren't afraid of partaking in new and interesting musical adventures. 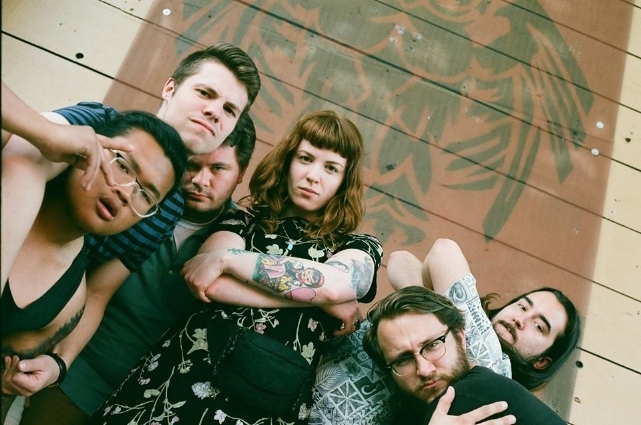 The atmospheric alternative rock five-piece has been incorporating brass with reverb-drenched guitar since 2014. They first tasted national recognition when their tracks "These Northern Mountains" and "Winter Air" (both off of their Bears in Hazenmore EP) were featured on CBC. In 2015 they toured the country with their second EP before putting some work in at a summer music camp in 2016. It was there that they met Moose Jaw's most prized possession, Megan Nash. That meeting spawned a glorious collaboration that led to BIH recording all the music on Megan's highly received album "Seeker". "Making Seeker with Megan was a wild ride" said bassist/saxophonist Dana Rempel. "with Megan at the helm we had to keep ourselves in check a little more musically. With Bears it’s more or less open season — everyone gets an equal say, we try pretty much anything anyone suggests. Her music has such depth and beauty at it’s core" he added. "Our job is simply just to support it. Seeker is not without craziness though — I think Tanner played the back of the neck of Darnell’s guitar with timpani mallets while Darnell held chords at one point." 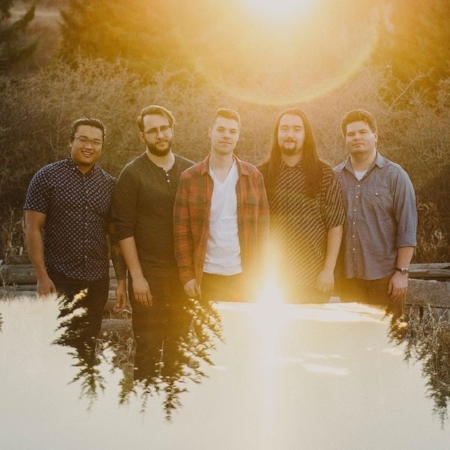 Atlas, their fresh new full length album, was recorded at Blue Door Recording in Regina, with Justin Bender at the helm. "Recording Atlas was an intense experience" Rempel said. "We basically holed ourselves up for seven days and worked insane hours tracking parts for the record, capturing not only what we do live but also exploring new ideas and sounds as they revealed themselves in the studio." "The whole thing was funded by Creative Saskatchewan, which allowed us to make the record we really wanted to make. We’re very lucky to have support from organizations like that in our province" Rempel said. Creative Saskatchewan is a homegrown agency that facilitates the growth of homegrown creativity by investing in homegrown talent. Their goal is a simple one: "help propel entrepreneurs as they create, innovate, expand and perform in their pursuit of commercial success". BIH is just one of many projects they've been involved with. As far as the music is concerned, BIH just wants to make stuff that they like that other people will like as well. "I think we were mostly just going for a sonic experience that was, at face value, generally enjoyable and more or less accessible" Rempel said, adding, "but with a considerable amount of depth so that listeners who engaged thoughtfully with the music would be rewarded with new things every time they listen." Atlas, as an album, has a strange little concept to it: it's about people in transition. "We’re all young people going through formative years, and these songs tell those stories," Rempel said. "The album is a road map to who we are as a band and we’re not the same people we were when we started. We’ve seen our lives transition. In some cases in good ways and in others not so good. A good example is "34-73", a song Brady wrote about moving out of his first apartment and finding his legs in a new home. Those things seem small and sometimes silly but they can have such a strong emotional impact and contribute to the overall changes you constantly experience as a person." The music on Atlas is supplemented with an extensive amount of liner notes; a massive work of art created by Kelsey Chabot, a long time friend and collaborator of the band. The liner notes tie each song to a physical location. The physical locations are related to feelings and stories captured in each song. To do that, the band, with Kelsey's help, came up with the idea of taking snippets of real world maps and rendering them next to the lyrics. Cartography for soul seekers. Ten epic songs charting the mysterious land journey of Bears in Hazenmore. "Sounds simple, right?" Rempel asked, rhetorically. "It was a tonne of work for Kelsey but in the end she absolutely nailed it. I can’t think of anyone else who would have been able to bring such a ludicrous idea to life the way she did. You might notice some textures beneath each page of the booklet — that’s just one of the many loving touches she added to elevate our artistic vision into something worthwhile. Let us know if you recognize any of the places!" The album is complete and its release tour wrapped up with a couple parties, one in Swift Current at the Lyrik theatre, in which Megan Nash opened for them and snacks and beer were provided by local favourites Casey's and Black Bridge Brewery and a second, at the Exchange, in Regina, with The Garrys and Ponteix. Now the band looks to step right back into the work and get busy on their next musical adventures. "The thing we’re most excited to do to is write more stuff. Brady brought in a new tune before this release tour which I think really lit the fire under us to get back on the writing horse again. I’m very excited to see what new ideas we’ll come up with. Also this summer we have a few festival performances like Ness Creek and Regina’s Market Under the Stars, and in the fall we’ll have some one-off shows and another tour. Keep your ears peeled for dates. Atlas can be found on Spotify, Apple Music, GooglePlay and BandCamp.